Mumbai, Maharashtra, India (April 26, 2018) – INOX Leisure Limited, India’s leading multiplex chain, partners with global leaders in screen technology, Harkness Screens. The association enables Harkness to install state-of-the art technology and systems across INOX multiplexes. The association comes at a time when 3D content is on a rise and moviegoers are looking for a premium and more engaging movie going experience for 3D and 2D films. 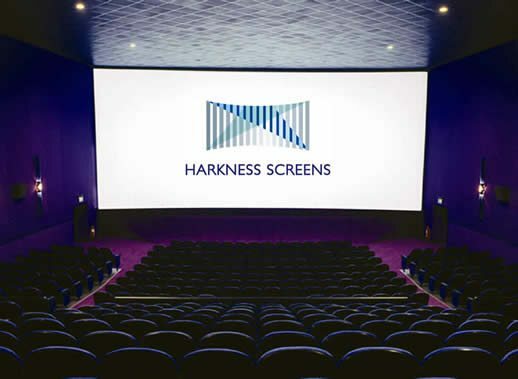 Through the partnership, over 30% of INOX screens in India have been upgraded with Harkness’ Clarus XC screen technology. Additionally, the screens will also be powered by Curolux technology which will help fine-tune projection settings automatically in real time, hence enhancing the complete movie watching experience. Harkness Screens’ Clarus XC screen integrates revolutionary screen technology, is multi-faceted, can be used for 2D and 3D environments and is globally the best-in-class screen for laser projection. The technology dramatically improves cinema presentation resulting in visibly deeper 3D content, a captivating viewing experience and more defined, sharper and crisper picture presentation. Combined with real-time presentation monitoring Curolux technology ensures presentation quality, brightness uniformity, focus, colour correction and audio related specifics, a moviegoer can be assured about receiving the best possible cinematic experience at INOX screens. INOX Leisure Limited (INOX) is amongst India’s largest multiplex chains with 123 multiplexes and 492 screens in 61 cities. INOX has redefined movie experiences in India making it truly 7-star. Each INOX property is unique with its own distinct architecture and aesthetics. INOX boasts of bringing the very latest in projection and audio technology, plush micro adjustable leather recliners with a butler on call facility, gourmet meal choices by celebrity chef, designer staff uniforms and many more. For easy and convenient ticket booking, INOX offers online booking on www.inoxmovies.comand through its smart phone applications across Android and Apple platforms.